Material: Cromargan Stainless steel rust-free 18/10 polished - dishwasher safe, easy to clean, tasteless and acid resistant. Food is cooked gently and quickly at high temperatures in our pressure cookers. Pressure cooker inserts make it easier to cook food in hot steam and give you more flexibility. The insert that can do anything! Perforated inserts are suitable for steaming or defrosting frozen food. A perforated insert is placed on top of a non-perforated insert in order to juice fruit. The inserts can be stacked on top of each other inside the pressure cooker to cook multiple things at the same time. The steam keeps the different flavours apart so that each foodstuff can keep its individual taste. The inserts usually make sure that food inside the pressure cooker does not come into contact with boiling water. This makes gentle steam cooking possible, and makes it the most gentle and healthy way of cooking around. This method of cooking has been well loved in Asia for hundreds of years. The main advantages are that the food's colour and nutrients remain intact and the amount of fat and spices used in cooking is reduced. If you want to become a master at this art of cooking then we recommend the WMF steam cooker from our range of cookware. The inserts are compatible with pressure cookers of the same diameter and can carry out all kinds of sophisticated tasks when cooking. The hermetic lock by means of a pressure cooker lid accelerates the cooking process inside the pot and leaves your food full of flavour, energy and vitamins.  WMF can offer you a range of inserts with a diameter between 18 and 22 cm, meaning that there is one to match any kind of pot. Each insert has a matching trivet to make sure that inserts can be securely placed in the pressure cooker. The stable metal brackets are placed on the base of the pot and serve as stands for the insert. The trivets are made from polished Cromargan® stainless steel 18/10 and in their different sizes are made to fit the relevant pressure cookers. Pressure cooker inserts are important accessories for the practical pots in our assortment. We can also offer you utensils and spare parts relating to pressure cookers, for example separate lids for pressure cookers to supplement the pressure cooker sets, as well as matching sealing rings, safety valves or timers to set the required cooking time. The shafts and lid handles of our pots can also be exchanged at any time.